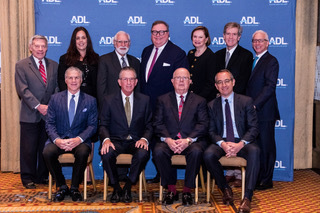 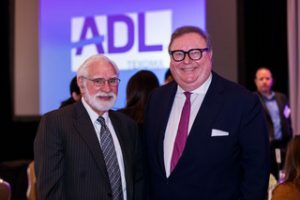 ADL honored Steve Stodghill, Partner Winston & Strawn, at its annual Larry Schoenbrun Jurisprudence Award Luncheon at the Fairmont Hotel on November 15th. More than 500 guests filled the room to pay tribute to Steve for his longstanding pursuit of justice and fair treatment for all. 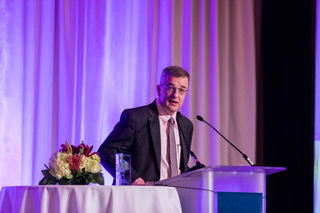 The luncheon was chaired by Tom Melsheimer and Todd Wagner. 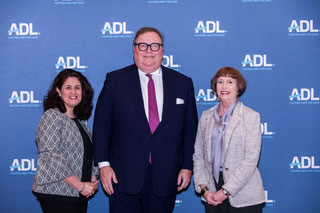 ADL’s anti-bully campaign was highlighted throughout the luncheon, along with their recent Youth Summit where middle schoolers spent a day learning how to the recognize bullying on their campuses, receiving tools to confront the behavior and practicing how to be an ally for others. 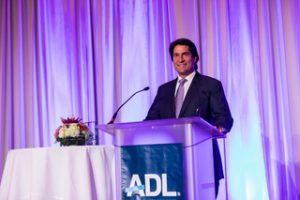 A tribute to the honoree included video greetings from Governor Abbott, Mayor Rawlings, and Mark Cuban. 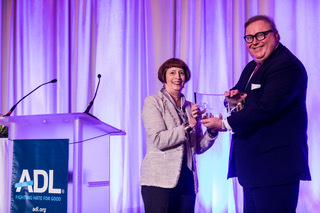 The Larry Schoenbrun Jurisprudence Award is presented annually to a member of the legal community for outstanding leadership, exemplary contributions to the community, and a commitment to the ideals of the Anti-Defamation League.